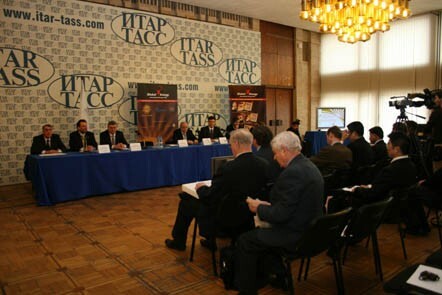 On 12th February 2008, in the ITAR-TASS News Agency in Moscow, the first photo exhibition of ITER organized by the Global Energy International Prize opened. The exhibition with the title "Global Energy Laureate: the ITER Project — solution of the energy problem of humanity" was devoted to the first ITER Council Meeting held in France. The exhibition opened simultaneously at the embassies of the seven ITER Member States: EU and France, USA, China, Korea, Japan and India and also in the ITAR-TASS Windows — the "Okna ITAR-TASS". 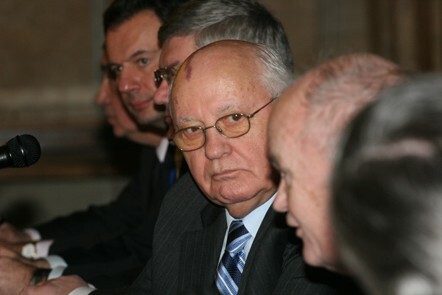 Among the guests of the opening ceremony and briefing were the ambassadors of the ITER Parties, Evgenij Velikhov, the Global Energy Board of Trustees member and the President of the Russian Research Center "Kurchatov Institute", and Michael Gorbachev, also a Global Energy Board of Trustees member and former Russian President . "The main idea of the project can be expressed by the words of academician and project initiator E. Velikhov," Gorbatchev said in his opening speech. "The idea is to create an unexhaustible and environmentally safe energy source which would be affordable for all countries and not just the superpowers." The US Embassy Chief of Mission, Daniel Russell, mentioned the leading role of ex-Presidents , Mikhail Gorbachev and Ronald Reagan in the cooperation between the two major nuclear states. "The construction of a fusion reactor requires combined efforts of many countries. A conceptually new energy source is important for all people worldwide," Daniel Russell said. The Ambassador of France to the Russian Federation, Stanislas de Laboulaye, highlighted "the significance of the project that means a new, environmentally safe energy source which is of paramount importance to our planet."